The Henry Moore Foundation protects and promotes the artistic legacy of Henry Moore, one of the most prolific and renowned artists of the 20th Century. Despite careful preservation of landscape and buildings at Moore’s home, the Foundation’s activities had outgrown their facilities, which were in need of an overhaul. 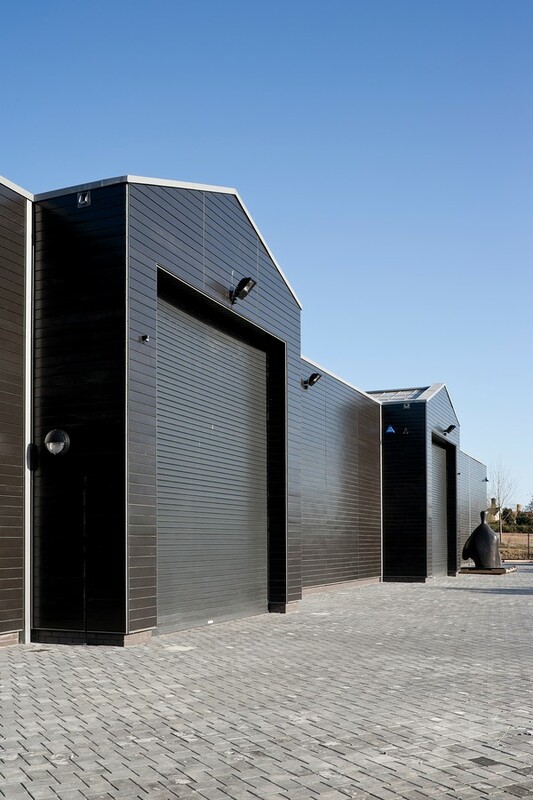 In 2008 Hugh Broughton Architects were appointed to develop a phased masterplan for the Estate and the construction of the new storage building was the first step in its implementation. 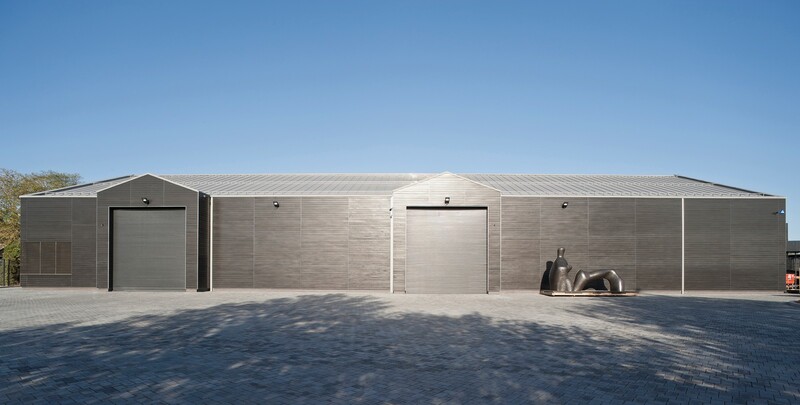 The stores provide a well-controlled ‘mixed-mode’ building with different environmentally controlled zones to meet the particular requirements of the peerless collection of sculptures, works on paper and tapestries. 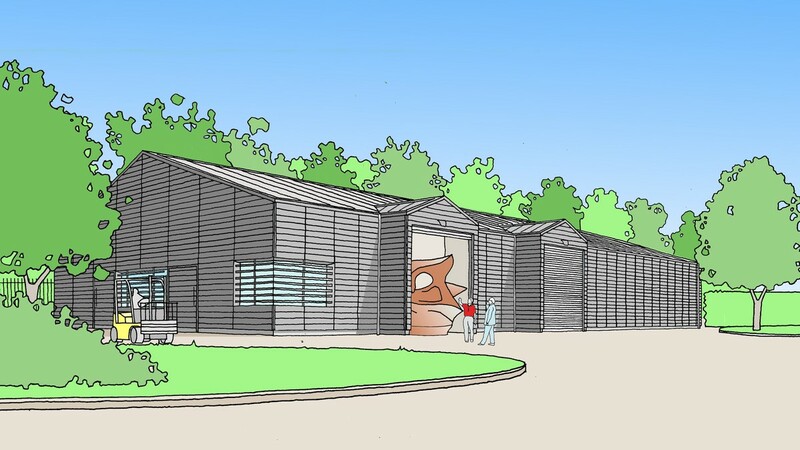 The site lies within a Protected Rural Area and the project involved detailed negotiations with the local planning authority to achieve consent for construction. This included a detailed analysis of the size of each sculpture and calculation of the consequential volume of storage required as a justification of the footprint to be built. A series of option studies were then developed to demonstrate the best location of the building. 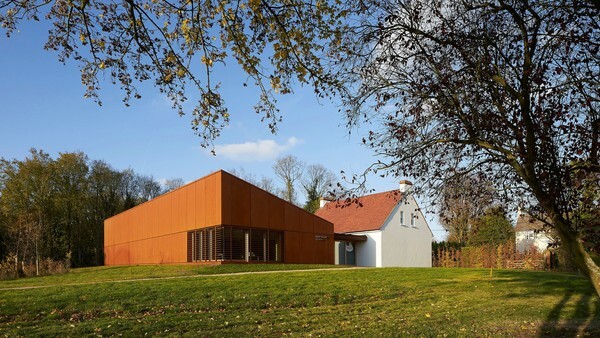 The architecture is rooted in a simple agricultural aesthetic overlaid with a fastidious approach to detailing to create an enigmatic building, which pays homage to Moore through its parsimonious design and subtle delight in materiality. 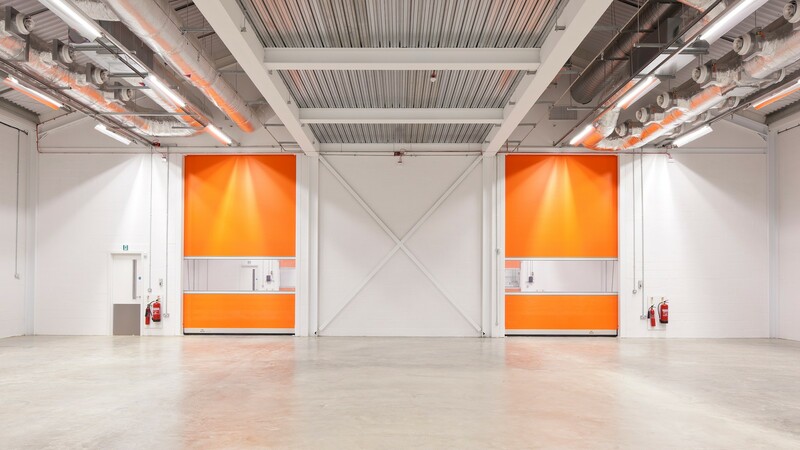 The simple rectangular form of the building maximizes flexibility allowing easy circulation for forklift trucks and a regular layout of storage racking. 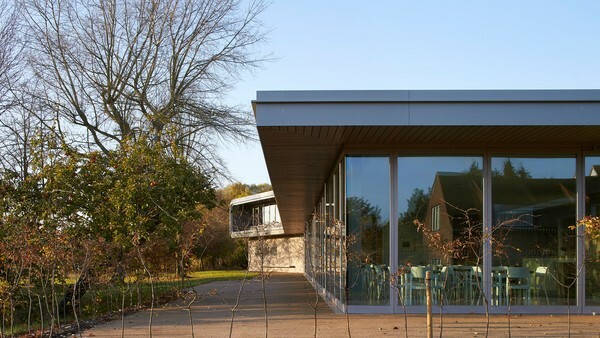 The restrained exterior, clad in dark stained oak and pre-weathered zinc, was developed to minimize maintenance and help the building shrink into the landscape. 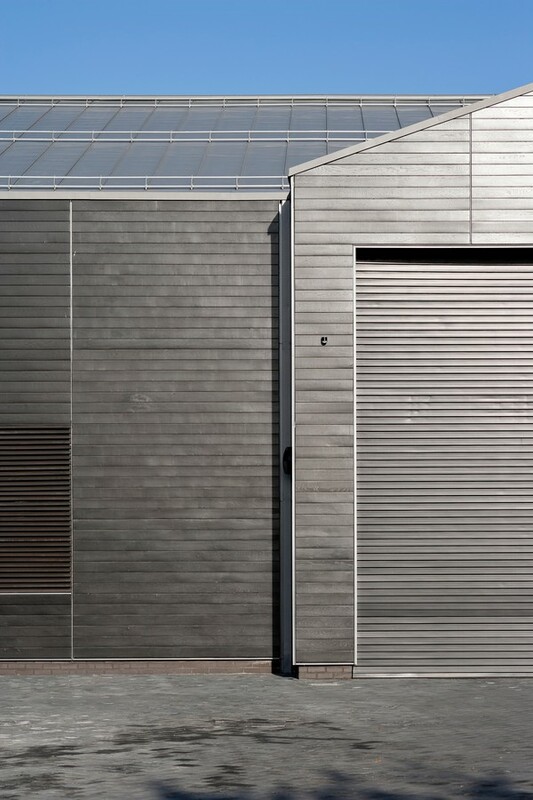 Only when up close do the details become apparent, lifting the building beyond the pragmatic with elements such as the flush eaves gutters, recessed downpipes, timber louvered glazing and aluminum trims to the blackened oak. The external envelope was detailed to maximize air tightness, which reduces energy demand to achieve the environmental stability required. 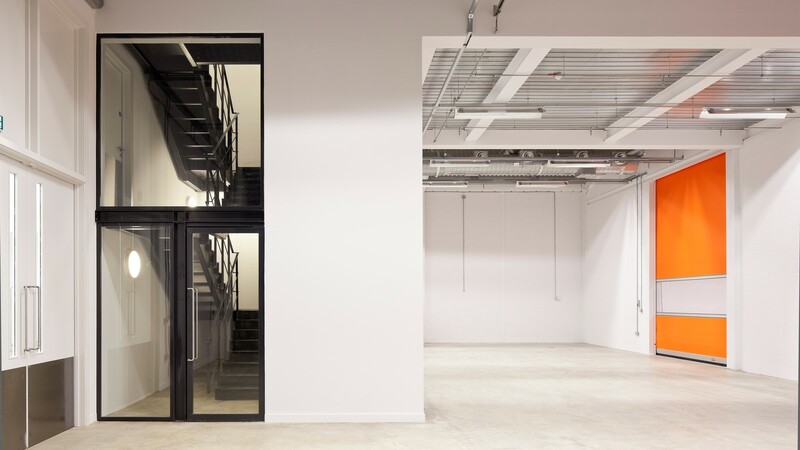 The extent of mechanical servicing is tailored to the needs of the collection and reduces in the building from east to west, so that packing and workshop areas are heated but not cooled as these are considered transitory spaces. Environmentally controlled areas are maintained at 20°C +/- 2°C with a relative humidity of 40-50%. The environmental controls are assisted by a ground source heat pump. Pipes run in 21 piles of 105 metres depth. This solution is calculated to be 4 x more efficient than a traditional chiller based system. Air handling units were placed on the outside of the building, out of view, to reduce construction costs and ease maintenance access. Internally services generally are exposed to ease maintenance. 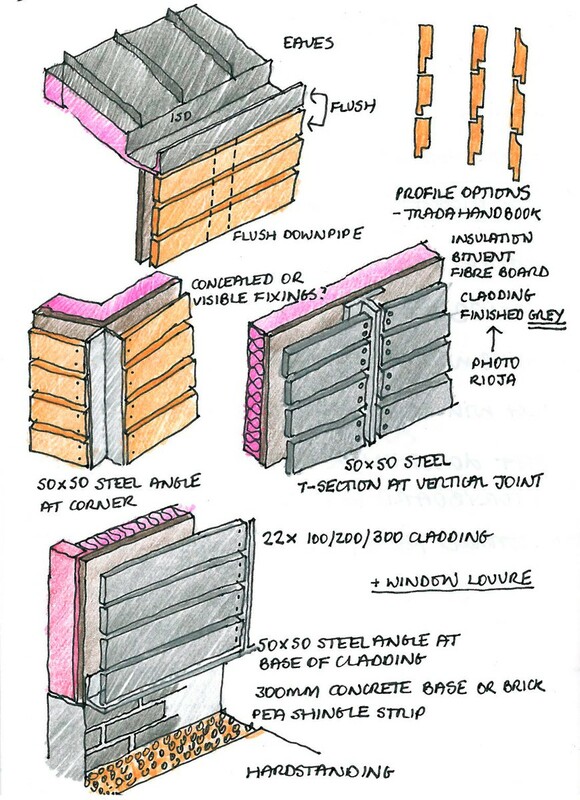 The roof design incorporates a grid of lightning conductor strips earthed at the foundations; snow rails to reduce snow build up in winter; and heat tracing to the gutters, which is activated when the temperature approaches zero, preventing ice formation and risk of damage to the roof. The building is protected from fire by a high-pressure mist suppression system. External paving uses a permeable system, which keeps it free from water even after heavy rains. The main building works were carried out during two closed seasons to minimize disruption to visitors, maintaining parking through the busy summer period.